As a Sheriff’s Deputy with nearly 18 years of experience, I have the privilege of serving the public in some capacity every day. I regularly assist people in their time of crisis and I work hard to keep you safe. Although this work is very rewarding, I believe I can do even more to protect your quality of life as your State Representative. My work as a Sheriff’s Deputy has given me an opportunity to see how governmental policy affects people at a very personal level. Whether responding to a traffic accident, a call of domestic violence, an assault, or a drug over-dose, I work hard to treat all people with respect, compassion, and empathy while helping them through the immediate crisis. This experience has given me a unique perspective I will bring to our legislature in Lansing. 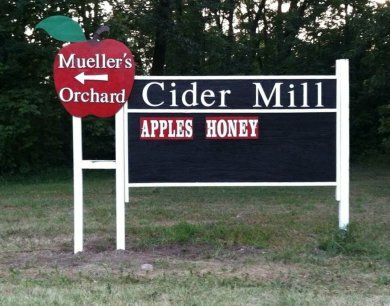 In addition to my work as a Sheriff’s Deputy, I have been a life- long member of this community where my family has operated Mueller’s Orchard and Cider Mill since 1941. 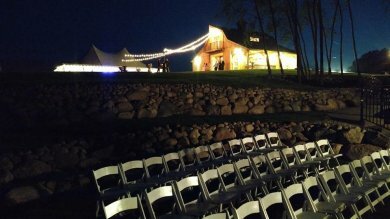 In 2016, my wife Angela, and I opened Birchview Outdoor Wedding and Event Center at Mueller’s Orchard. Because of this work I understand the unique challenges area business owners face and the impact government regulations have on working people. While regulations that protect the public are necessary and important, many existing regulations are outdated or unnecessary. This hurts our community by stifling economic growth and opportunity. I will bring a common-sense approach to legislation. I will oppose burdensome regulations on businesses that don’t have a clear and compelling benefit to the public. Birchview Wedding & Event Center.